A very special event is going on in St. George to remember the victims of September 11th 2001. Below is a message from the event organizer. It is going to be very touching, and something you don't want to miss! View the website for complete and up to date information. Just a brief note to let you know of a very special project taking place in St. George, Utah September 9th thru the 11th. My name is Alan L. Foote, I am producing a Patriotic Marathon, so-to-speak, in southern Utah to pay tribute to God, Country and Patriotism. 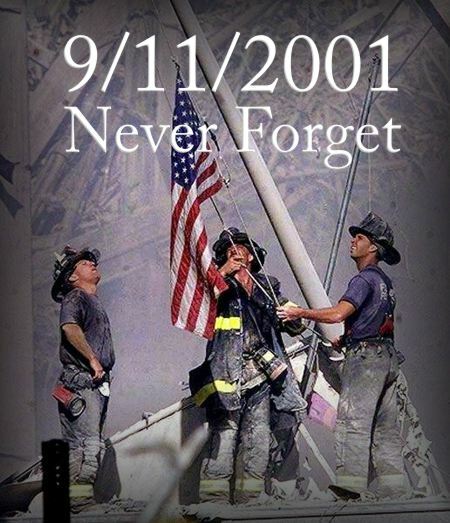 I am going to sing the Lee Greenwood song, GOD BLESS THE USA, nine-hundred and eleven times beginning Sept 9th at 6:50 a.m. and finish the morning of September 11th, 6:50 a.m. the same time the plane hit the first tower. Staheli Farms have allowed full use of their property during this event. I will be singing in a military tent surrounded with military colors - artifacts and memorabilia from the military will be displayed. A solar light garden will feature 3,947 units -- one for each of the fallen on 911. A Flag Arena will display flags as to represent all those who gave and continue to give so valiantly for our freedoms. And yes, Apple Pie - what could be more American than eating a slice of apple pie and sharing your heart with your family or a stranger. Here is the kicker -- we would invite anyone who would wish to, to stop where ever they are the morning of September 11th and sing with me the nine-hundred-eleventh time, GOD BLESS THE USA. This will be choreographed thru media personalities - - the prayer being that as many as can will catch the spirit of their own heart-felt patriotism and sing that great anthem at the time mentioned.